April 28, 2011 – On empire building. | What I got rid of today. ← April 27, 2011 – Bad indeed. Seems like a time gone by. 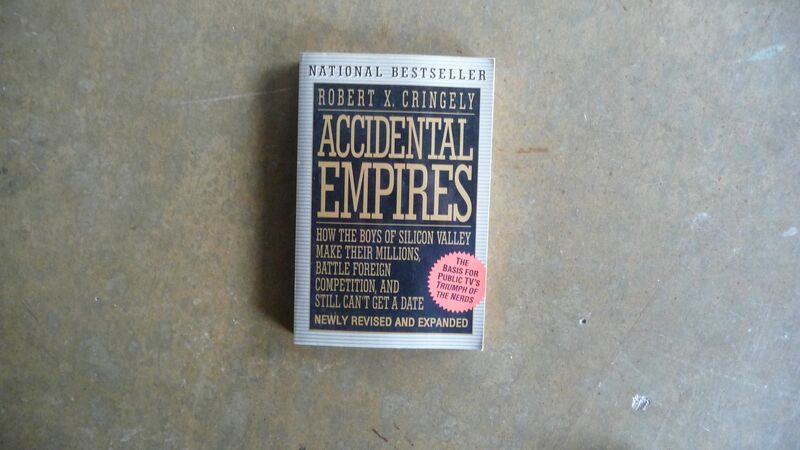 Today, I RID this book about the rise of the titans of Silicon Valley. However, it’s the word “empire” that’s on my mind. I read an article this morning about how yesterday might have been the saddest day in American political history. A day where our president, due to the insane (and mostly racist) ramblings of a bunch of teabaggers, produced his birth certificate to appease a bunch of asshats. I’m sorry – but can we please have a discussion about what matters? Like the fact that we still have troops in Iraq and Afghanistan with no end in sight? Like the fact that Wikileaks has shown us that army doctors have ignored the obvious signs of torture at Guantanamo, and looked the other way? Folks, this is how empires fall. The country I love has lost the high ground. We used to be a shining beacon of the most high-minded ideals in the world. Now, we’re concerned about birth certificates, Charlie Sheen, and today’s boxscore. Sorry for today’s rant — I’ve just had it.